​City High Middle School was established in 1972. The school offers a rigorous, college preparatory curriculum with an eco-cultural and sustainability focus. We are proud to be the first school in the area to offer both the International Baccalaureate Middle Years and Diploma programs. It is an international curriculum, aiming to combine academic rigor and to equip students with skills and attitudes appropriate to the challenges and opportunities of contemporary society. 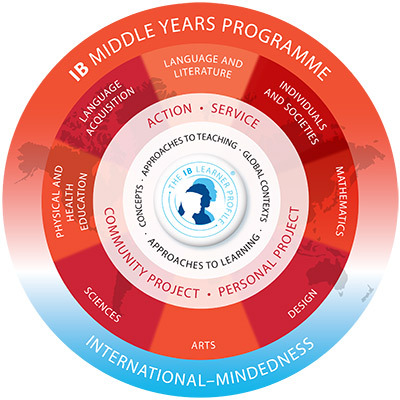 The MYP curriculum provides for ease of movement between International Schools around the world, as well as providing students with the opportunities to gain world perspective. ​Please find the MYP Criterion for each subject area by clicking on the Subject Areas listed above. Students are also required to complete CAS hours, which are modeled after the DP CAS Component. The Diploma Programme is a two-year college preparatory program that is offered internationally. ​Students at City are all full IB Diploma candidates, which means they have the opportunity to attain an internationally recognized diploma based on the scores they earn in each subject.